Canadian Subaru enthusiasts will soon be able to join an exclusive owners club when the 2018 BRZ tS goes on sale early next year. 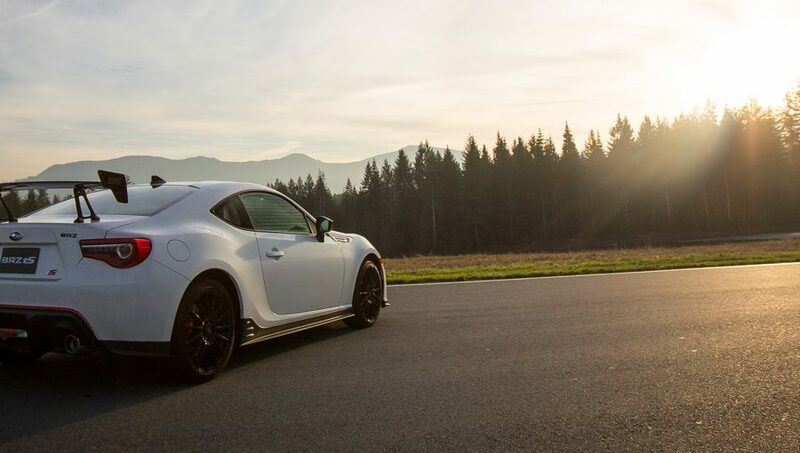 Limited to just 100 units in Canada, the tS, which is short for “tuned by STI,” takes the 2-door coupe to a higher level of performance. 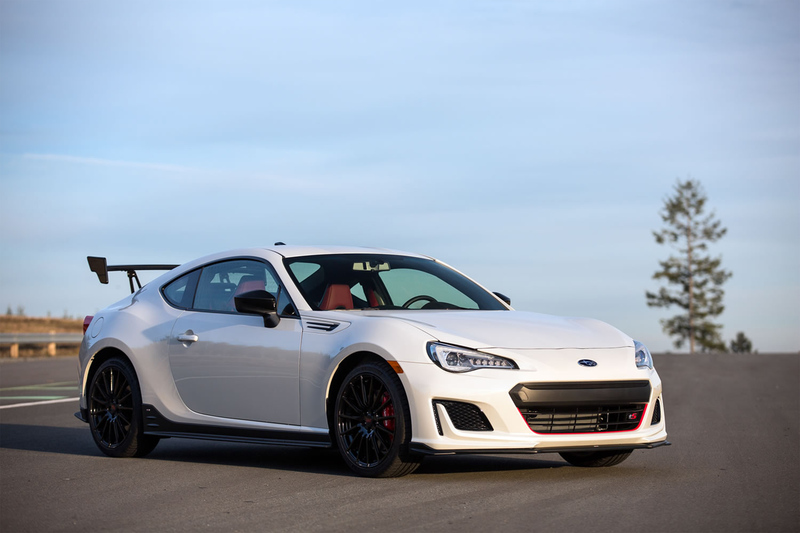 The BRZ tS adds STI-tuned front and rear SACHS dampers and coil springs, a flexible V-bars in the engine compartment and new draw stiffeners to the chassis and sub-frame to improve steering response. The BRZ tS is also equipped with 18-inch STI alloy wheels, the first time that a BRZ has been offered with 18-inch wheels, wrapped in 215/40 R18 Michelin Pilot Sport 4 tires for enhanced grip and quicker turn-in. Brembo brakes at all four corners round out the package. Helping it stand out from the crowd is an aggressive new look courtesy of an exclusive STI carbon fibre rear spoiler that’s manually adjustable to fine-tune rear downforce, and STI front, rear and side underspoilers helps control airflow for better traction and stability. 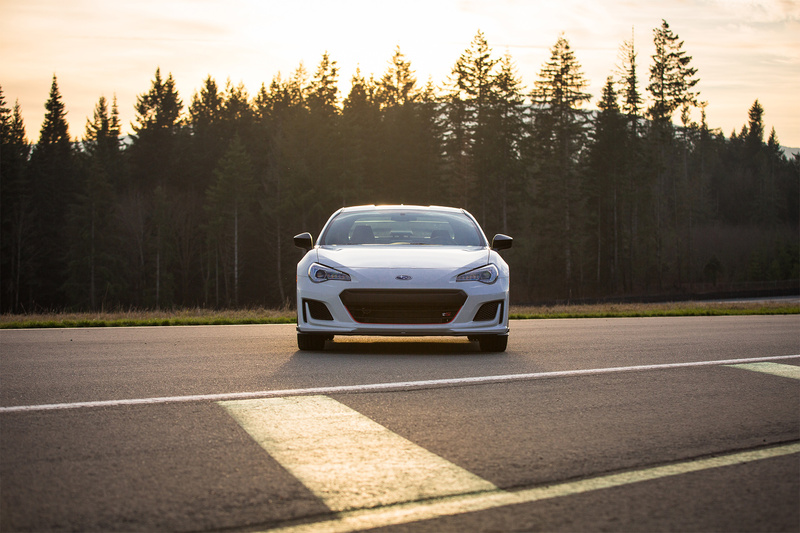 The BRZ tS has exclusive Cherry Blossom Red accents around the front grille and unique rear bumper cover. The rear trunk lid has the official BRZ tS badge. 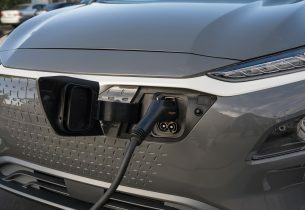 The exterior foldable mirrors, roof-mounted shark fin antenna, BRZ and Subaru badging all have a black finish. 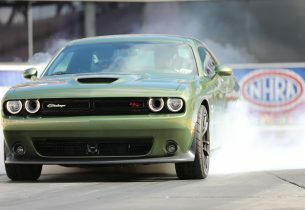 It also has a front fascia that is exclusive to the tS. 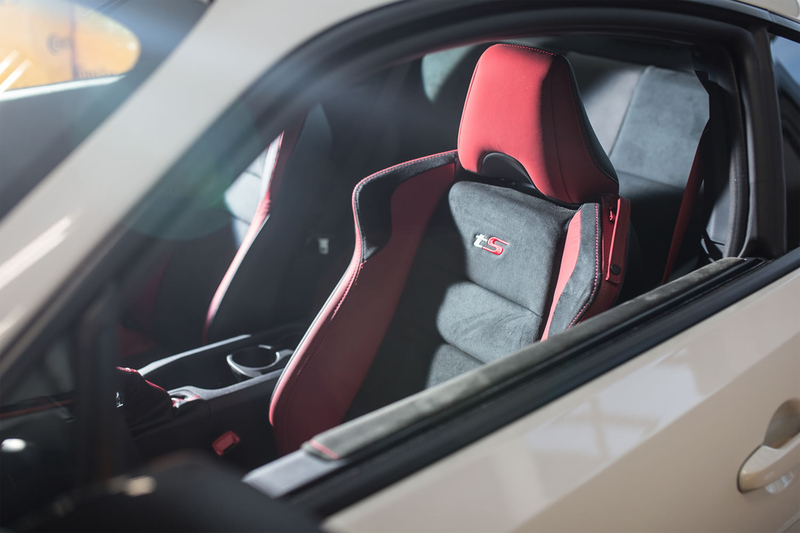 The interior features red accents throughout, while the black leather and Alcantara seats have red leather bolsters and the seatbacks are embroidered with the tS logo. 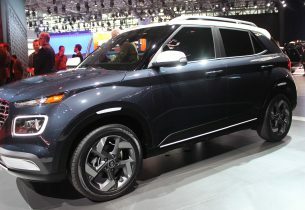 Completing the revised look inside are red front seat belts and a frameless rear-view mirror. Under the hood is a high-revving 2.0-litre SUBARU BOXER four-cylinder engine that makes 205 horsepower and 156 lb-ft of torque. 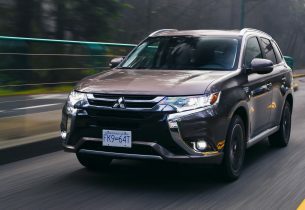 The engine comes exclusively mated to a six-speed manual transmission. The Subaru BRZ tS will be available in World Rally Blue Pearl, Crystal Black Silica and Crystal White Pearl exterior colours and has an MSRP of $37,395. The WRX STI engine wouldn’t fit? Now that would be a screamer. No user submitted content found.